It might appear that I'm a newbie and that's because I rarely use this site even though I acknowledge it as a great site for Yu-Gi-Oh creativity. That being said, I'm proud to say that Yu-Gi-Oh has been a large part of my life in the last several years whether that's been investing, trading, playing both competitively and casually, and finally creating the cards I believe Konami should release someday (heck, I might continue to play). Every card I create is a card that in my head should be printed and would be a viable card in the game. Some cards are better than others and even some people may argue that some of the cards are too powerful, (although I feel that nothing I create could surpass the current meta or where it'll be in 6 months) but all of them have come from the deepest part of my creative. All of my ideas are original; however, the artwork is from some of the amazing artists that exist on the internet. The reason that I'm finally releasing all these sets I've created over the years is because I'm taking a break from the game. I couldn't bring myself to say leaving the game, because I don't think that anything will get me over my nostalgic feeling towards the game and selling certain decks that I hold dearest. However, due to the loss of enjoyment from the game, the last few and upcoming poor formats, as well as the tiredness from keeping ahead of Konami's economic scheme I'm going to be settling down. 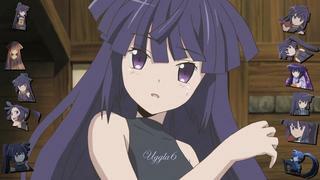 Even the original creators have moved onto a new game and company and so I thought that was telling me to do the same (the game is Cardfight Vanguard and anyone who is interested in learning or anything else, feel free to contact me and I'll do my best to help). Anyway, in lieu of this break I'm going to posting a single set/archetype that I have created over the years that I deem acceptable to go to the printing table each week until I've posted all my cards. Before posting I'm going to check for grammar errors and try my best to convert some of my older cards with problem solving text. For those of you here I hope that these cards can give enjoyment to continue on with the game, or at least be the inspiration of some of your own fantastic creations. Enjoy! It's that time of the week again where I bring to you a new set from my collection over the years. It's a little late in the week, but I figured that you all would still enjoy them. Due to my busy week this week I selected my smallest set ever. Last week I brought you a very meta heavy and fast deck. This week I bring a slow and anti-meta control deck. They oppose each other on opposite ends of the spectrum. That being said both decks are consistent and powerful, but lack the stamina to survive late game. Today I bring to you the Serpess monsters. 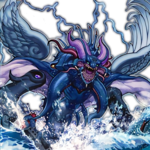 They are Sea Serpents that focus on using each other to protect themselves from your opponent's card effects. They are punished when you try to Synchro and no monsters have the same level to Xyz with. The deck truly avoids the use of the Extra Deck and likes to have banishing floodgates to avoid being put in the Graveyard. They fall in similar tiers with the rest of the anti-meta decks, but there small archetype allows for maximum floodgates and traps to disrupt your opponent. Enjoy. 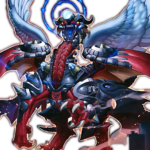 "During the End Phase, if this card was Normal Summoned this turn: You can excavate the top 5 cards of your Deck, Special Summon any excavated "Serpess" monsters, also place the other cards on the bottom of your Deck in any order. When this card is sent to the Graveyard: Special Summon 1 "Serpent Hunter Token" (Warrior-Type/DARK/Level 6/ATK 2100/DEF 0) to your opponent's side of the field in Attack Position." This card is a great way to get the lock down going and speed through to many different monsters in the deck. It also doesn't waste any of your generic cards. That being said it is also the card most vulnerable to being stopped. Not a bad open though, in fact, it's what you want to open. Card uses a lot of luck though. "If you control another face-up "Serpess" monster, "Serpess" monsters you control are unaffected by your opponent's Effect Monsters' effects. When this card is sent to the Graveyard: Special Summon 1 "Serpent Hunter Token" (Warrior-Type/DARK/Level 6/ATK 2100/DEF 0) to your opponent's side of the field in Attack Position." This is card that you'll start to see the trend of this fairly simple, yet effective archetype does. Due to the current meta game, this card is probably the best since monster effects are the most powerful these days. He also holds a decent frame and can make some pushes. "If you control another face-up "Serpess" monster, "Serpess" monsters you control are unaffected by your opponent's Trap effects. When this card is sent to the Graveyard: Special Summon 1 "Serpent Hunter Token" (Warrior-Type/DARK/Level 6/ATK 2100/DEF 0) to your opponent's side of the field in Attack Position." Another very important card because traps can be deadly. Once you control multiple Serpess monsters you become hard to inflict damage one or gain field advantage. Not too strong offensively, but necessary if you want keep your field. "If you control another face-up "Serpess" monster, "Serpess" monsters you control are unaffected by your opponent's Spell effects. When this card is sent to the Graveyard: Special Summon 1 "Serpent Hunter Token" (Warrior-Type/DARK/Level 6/ATK 2100/DEF 0) to your opponent's side of the field in Attack Position." The weakest of the Serpess monsters not only in strength, but in terms that Spell cards are usually the least devastating to a game state. As you might have noticed that with one of each Serpess monster, including this monster you create a lock where your monsters are safe from card effects. That being said when sent to the grave (usually by battle), they all come with a nasty side effect. This thereby encourages a player to stop them from being destroyed. "Activate by paying 1000 Life Points. You cannot Special Summon monsters from the Extra Deck. When your opponent Summons a monster(s): Halve its ATK and DEF. Once per turn, when an opponent's monster declares an attack against a face-up "Serpess" monster you control: Target the attacking monster; negate that target's attack, then draw 1 card. Once per turn: You can discard 1 card from your hand; any card effects that activate in the Graveyard cannot be activated until the End Phase of your opponent's next turn. You can tribute this card to add 1 "Serpess" monster from your Deck to your hand. 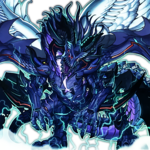 You can control only 1 face-up "Great Guardian Jormungand"." The last card of this tiny archetype and the only non-monster. It is essentially everything this deck needed, built into one card. While that might sound good it comes with some serious draw backs. First of all paying 1000 LP in a grind game, especially when Warning and Soul Drain are also must haves can really add up fast. The second restrictive clause while might not sound like much can lead to some problems in certain situations. It is also a continuous spell card and easily stopped through MST and such cards (not to mention you can only control one). And while the search effect is really nice, in a deck that requires this card to win getting rid of this unsearchable card for a monster (usually Tanis) is actually and bad play. That all being said is halves all your opponent's monster ATK and DEF and once per turn you can stop an attack to draw. While a smart player would only attack when he has multiple attacks that can hit (and he would get more assuming that the Serpess monster is sent to the Graveyard) you still get to draw a free card. While this effect is enough to win the game, this card can also act as its own Skill Drain for a turn if you are willing to discard a card giving the deck more ways around its own side effects as well also more ways to screw over your opponent. That being said this card is almost impossible to tech into anything else and with a player only being able to run 3 of this card can make for some issues if you opponent gets rid of this card. The card is essential to the strategy, so protect it with your life. Ofcourse there's none this is anti-meta archetype that avoids the Extra Deck. And as always. That being said this deck has so many options and directions so feel free to make your own. Just a bunch of hate. This group of monsters can get over almost anything. Anti-spell Fragrance, Skill Drain, and Mistake are all other potential cards to use in the Main or Side deck for this deck. 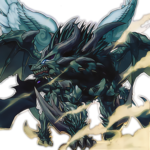 Dark Bribe is also another viable substitute to protect Great Guardian Jormungand. The main aspect of the archetype is that it is immune to almost anything while still maintaining decent stats. That being said due to there side effects it's best not to let their Graveyard effects go off which encourages the running of the infamous Macro Cosmos, Dimensional Fissure, and Soul Drain. Additionally to avoid your monster's destruction by battle, since the monsters protect themselves pretty well, battle traps are also encouraged. Due to their grid game mentality and lack of an OTK finishing capability this deck would barely get itself into Tier 2, but the extra hate from the rest of the deck can really help a lot. A well built deck with the right player can go really far with this deck.